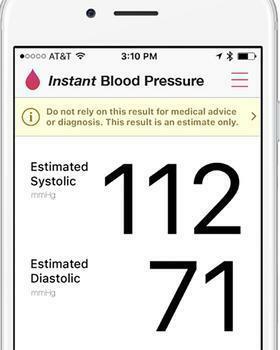 A company that sold an app called Instant Blood Pressure has agreed to settle a Federal Trade Commission complaint that it deceived consumers with claims that its app was as accurate as a traditional cuff. The FTC also charged that the company posted positive reviews of the app and gave it five stars in app store reviews. Aura Labs, Inc., has agreed to stop making such claims and, in settling an FTC complaint, has also agreed not to post endorsements of its products without disclosing connections the endorser has with the company, the FTC said. That's not quite how the company is spinning the settlement on its website, however. "AuraLife never claimed that the Instant Blood Pressure app’s performance characteristics were equivalent to that of a conventional blood pressure cuff," the company said in a prepared statement. 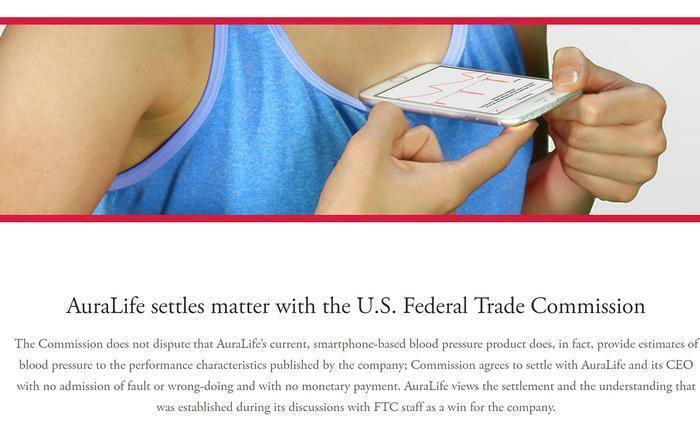 "The Commission does not dispute that AuraLife’s current, smartphone-based blood pressure product does, in fact, provide estimates of blood pressure to the performance characteristics published by the company," Aura Labs says. Aura Labs also puts the best possible light on a judgment of $595,945.27 levied against the company. The penalty was suspended based on the defendants’ inability to pay, but the "full amount will become due, however, if they are later found to have misrepresented their financial condition," the FTC said. In its statement, Aura Labs says it "would not have agreed to settle this matter had any payment been required." In marketing the app, Aura and Archdeacon claimed that it could be used to replace around-the-arm cuffs and would be just as accurate as the traditional device, the FTC charged. To use the app, users put their right index finger over the phone’s rear camera lens and held the base of the phone over their heart. AuraLife now says it "never claimed that the Instant Blood Pressure app’s performance characteristics were equivalent to that of a conventional blood pressure cuff." But the FTC argues that the device could be dangerous to consumers. According to the FTC’s complaint, Aura sold the Instant Blood Press (IBP) app through Google Play and Apple’s App Store for between $3.99 and $4.99. Between June 2014 and June 2015, sales of the app totaled more than $600,000, according to the agency. Is there an alternative to blood pressure medicine?